Codenvy makes developer workspaces instant. Leverage pre-built environments that support nearly every language and stack. 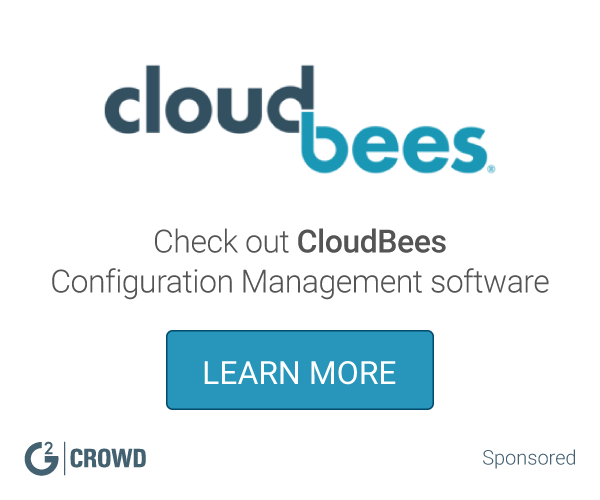 Run it behind your firewall, connected to your systems and projects to remove configuration maintenance from development. Deploy it to your own datacenter or any cloud. Codenvy is based on Eclipse Che, an open source project and is available on-premises as well as white label and SaaS. Codenvy supports Java, JS, PHP, Python, Android and more. What Java Integrated Development Environment (IDE) solution do you use? Connecting with our open source software, we are now able to allow our employment specialists work through workshops with student, as workshop setup time that used to take almost an hour now takes only a moment or two. The cloud does not have a safe feeling, while it may have protections in place, it has quite a generic feel to the safety of use. No visible safety features, and I am unsure if I trust this cloud usage with discussing our business. We are still in testing mode with this software, and are not yet decided if we will permanently utilize this or not. Teams and developers alike can use this as a simple software to collaborate efforts to new creations. Inexpensive solution to teamwork across the globe. Skeptical of the safety through the use of codenvy's cloud design. Creating teams in a cloud work space makes it easy to work together from all over the globe. We are using this internationally, so my assistant may be in Japan, while I am in the USA, and we are still able to work together. The developers can use it for source code editing, debugging, and for building automation codes. Great tool for on the spot developing with easy access and a great solution when switching device and/or having to develop on a device without pre-installed software on it. Also find it good for changing between languages quick and easy and switching between diffrent projects in a few easy clicks. Like all IDE's it takes a little while to get going and getting started with the project, but it's all about time and getting used to it. Try it out and give it a shot is the best way to put it. The benefits are the one named in what i like best about the product, but also the doors that this product open with how this will change the way we will use our devices. With a tool online that handles the processing etc the demand on having the hardware in the device decrease. "Completo entorno de programación y plataforma basada en la nube." Posee una completa integracion con nuevas plataformas tecnologicas, es multiplataforma, no necesitas instalar ninguna herramienta aparte de un navegador, con este entorno es sencillo de establecer reglas y lineas generales en proyectos grandes y con muchos colaboradores, soporta la mayoria de los lenguajes, puedes tener instancias de servidores dentro para correr pruebas unitarias o servicios web, posee bastante tiempo en el mercado por lo consiguiente es usado por muchos desarrolladores y muy bien probado lo cual provee confianza y estabilidad de usarlo, esta muy bien diseñado para desarrollo de tipo web tanto para backend o frontend, esta altamente acoplado a GitHub, a servicios de API de terceros y servicios basados en la nube, posee caracteristicas avanzadas para la construccion o compilacion de codigo. A veces puede cargar muy lentamente, cuando empece a usarlo fue algo dificil y complicado de configurar, la interfaz de usuario puede estar cargada con muchas opciones, pocos temas para cambiar su aspecto o los colores de syntaxis, no posee completacion de codigo, las guias pueden ser excasas o de poco entendimiento, los precios de pago suelen ser algo elevados. Es un poderoso entorno basado en la nube que provee un nivel de productividad alto, generalmente se pueden apreciar las caracteristicas unicas cuando se esta desarrollando proyectos grandes con muchos colaboradores al mismo tiempo porque se pueden establecer parametros y configuraciones globales sin necesidad de mantener complicadas herramientas de construccion de codigo o servidores instalados en diferentes sistemas operativos. La capacidad de tener instancias de servidores destinados al despliegue de tu proyecto o a las minuciosas unidades de pruebas directamente desde el navegador, muy bien establecido para proyectos web en general, soporta multiples plataformas y nuevas tecnologias de desarrollo, posee una completa y limpia integracion con GitHub y herramientas avanzadas. Necesita una mejor experiencia de usuario, mucho mas guias de como hacer las cosas, es dificil de adoptar sobretodo para desarrolladores nuevos, en algunas ocaciones puede ser realmente lento y tener una interfaz sobrecargada con muchas opciones y herramientas a la misma vez. Deberias considerarlo en proyectos complejos que requieran muchas dependencias entre sistemas operativos y una adecuada configuracion predeterminada. Proyectos basados en NodeJS y Front-End en general, puede ser una grandiosa herramienta sobretodo por que puede hacer que tus proyectos los puedas implementar con mas rapidez y productividad que entornos locales que requieren instalaciones y configuraciones complejas. "Highly compatible with current technologies and on the cloud." There isn't really a flaw at the moment at least for me, been using it as a time saver so I don't have to setup development environments on-the-go. If you find yourself working out of the office too often and don't want to remote access to your services while using an unknown internet connection, you can use Codenvy as a cloud development environment. It's safe, solid and it will bring a bunch of utils to the table, so you won't miss almost anything from your office's work space. Interns inclusion to our code base is really simple using premade work spaces in Codenvy. Last minute editions can be done while out of the office easily with this, so We don't have to deal with security measures. I've tried few of these, Codenvy being the best so far. I'm into Java coding and sometimes I can't carry my laptop to everyplace. Codenvy setups help me take my coding work spaces to anywhere on the globe and still be able to work. At the moment i haven't really found anything that i dislike, it could use more graphical customizing features. I try to not fry my eyes on weird looking IDEs. If you're one of those who can't carry a laptop all the time, or You just like working on the cloud, Codenvy is a fair shot. it's free for low consumption projects! I don't use to carry a Laptop everywhere i go, sometimes i got to do some last minutes edits, this kind of tool help me in that matter with ease. There's no way you could be a full fledged programmer without one tool like Codenvy. "Get a Project Started Easily"
I really like that I don't have to set up my own development environment. Just select what project type you want and when you are ready to test your code choose a run configuration and press the run button. Give it a try. There's a free tier so you don't have to spend any money up front to use it. I am working on a few personal projects, nothing with a specific problem to solve. The biggest benefit is definitely that I don't have to set up development environments. Also the fact that it works on a chromebook is a huge bonus. "Powerful IDE for modern apps"
Flawless GitHub integration, multiple server instances on demand, well suited for testing and factorizing code, beautiful UI and interactions that give you instant feedback, it support last tech stacks in market, complete solution for large teams and different parts of projects separately, code specs and quality enforcement, it's cloud base and platform independent. Sometimes it can load slowly, it needs more tutorials and guides to use it, it can be hard to start with, configuration settings and features can be messed up sometimes. Applications development, code debugging, tech implementation, it can be a powerful tool for current modern applications with last tech stack, it's well suited for large teams and large projects that need some management and quality enforcement. Complete advanced code editor and projects management application, great for large teams, easy to learn and use, easy to deploy and run tests, advanced features like complete GitHub integration or last web technologies like NodeJs or Laravel, well suited in web applications development cycle, code builder and fastest automation. Nothing so far, it continues improving and recently they launch a new branding application with new features and tools. If you are facing problems to mantain large projects with many developers you should give a try, it can be a solid option specially when there are many technologies stacks used in same project. Large web projects automation and management, setting a structure base for projects, guidelines and development strategies can be easy, forcing large teams to mantain a high level quality in all projects. "Cloud based enviroment integrated with last tech stack"
I like the idea of multiple instances or workplaces to intuitively deploy and test code in development fase also that it's well integrated with source code repositories, projects start templates reduces a lot of boilerplate, the code editor it's well designed and looks everything fine with fonts and color syntax and has all features from classic code editors. I think that it needs more guides and help about doing things with it, configure things can be a nightmare for new commers and the transition from a local enviroment to a cloud based should be easy and intuitively. Read how everything works before place critical projects in it. Code test and code maintenance, it solves a lot of problems in large projects with many tech stacks working together. I have been using DreamWeaver for years. Not the design view but the code view. I like Codenvy for many of the features that are similar to what I am used to. I like that I can click on an open or close tag in HTML and the related open/close tag is then highlighted so I can easily find the mismatched tags. Also, Codenvy highlights obvious errors and helps debug someone else's code. One of the coolest things though is the connection to git. My projects are easy to push and pull as needed to make them more accessible "anywhere". Not to mention that I can pick up where I left off by opening chrome on any machine. FTP or SFTP is a must. Too may companies use cPanel for their hosting and cPanel and Git are not good friends yet. They are working on it, I hope, but they are not there yet so I need a way to upload changes without having to download them first. Also, if I'm trying to fix something that has been done wrong repeatedly on a page, it would be nice to have the "Find" feature remember what I looked for last. And where is "Find and Replace"? Make sure you have a way to use this with your current needs. The lack of FTP or SFTP is sort of a killer. I can get around the issues with Find and Replace for now. It is definitely a good product that is coming a long and, for me, has replace DreamWeaver in a lot of ways as I have began moving to Chrome OS (and I'm loving it, btw). I do a lot of website work so most of the problems I am solving are just minor development issues in PHP sites. "IDE on the cloud done right." Having a remote IDE with all your files ready to run, edit, download is something you must have today if you're fully committed to development while away of your place or office. Even if you're learning how to code, you can use this tool to run and test your code with ease, not bothering yourself installing and setting up the necessary software to make it run on your computer, which is awesome! There are no graphical customization options, i like to have fancy editors with nice looking colors, there's no way to archieve this at this moment with Codenvy. Remote code debugging / testing. It's a free alternative to other on the cloud IDEs. It even has Yeoman, it will help you automate your builds and create projects fast and without errors. "Ready to go work spaces"
- Free Cloud IDE available everywhere with little to no downtimes. - Great UI, highly intuitive. - Useful while working out of your work place, you can easily take your office anywhere on the globe with this tool. There isn't really anything that I dislike about the software. It could use some theme customization capabilities or code editor colors customization, some people like their code editors in light colors with nicer colored syntax. Remote working while out of the office used to be a pain in the head, I had to login through several layers of security to get into our code base. Now i simply login into a Codenvy's workspace, make my changes, run some backend magic and my changes will be uploaded to our private servers effortlessly. "Highly usable IDE, rather ugly GUI." Having a cloud IDE available whenever on the globe can be extremely useful while working / studying abroad. I've had some amazing experiences with this IDE with some both technical and graphical flaws. The Linting can be sometimes harsh when doing basic stuff, it shouldn't come setup from scratch. Editor themes aren't available to modify, there's only one black theme and the code color presets are really ugly. Loading times can be sometimes high when connected to low-end internet speeds. Having a cloud based IDE can be handy sometimes while away from your workstation, I've used codenvy a couple times while away from my personal computer or hometown, it's been a bitter sweet experience using it while away from home, but it has helped me solving some last minute issues. "Engaging, yet still requires refinement"
I like the smoothness of the IDE and transitioning between the various files in a project. Additionally, transitioning from one project to another is smooth as well. I did not encounter any hiccups or slowness. * No apparent option for using a command line interface. Some projects like Ruby I find I can only progress if I can run commands. For instance using "gem" or "bundle" to handle the addition/removal of gems. This also prevents me from running my scripts for these projects to ensure they are working as intended. * If I have a Git Submodule in my project, Codenvy clones the git project, but not the submodule, so I'm missing parts of my project. * Lacking more recent versions of some technology like using Ruby 2.1. There's also no way to tell what version of Git is being used. Review pricing terms in order to determine what will fit your need. Start with small project with growth potential so as it progresses you may witness how Codenvy is able to handle it. The business problem of having to setup an environment for development. Especially in cases of contributing to open source projects, I can fork the project in my Github and then open that project in Codenvy in minutes! This is a terrific benefit to quickly helping add one or two enhancements or testing out recent changes. The developers have done a very high quality product. It contains a lot of interesting solutions. Such as code refactoring, multi mode and invitations. And if you have an account in Google, the registration may take a few minutes. But if you do not wish to use a Google account, the registration of this does not become complicated, and will remain the same simple. Codenvy supports a large number of languages ​​- Java, Java Script, PHP, Python, Ruby, HTML, and CSS. And their number is constantly increasing. It would be nice if there was support for the russian language to the russian-speaking community has been able to use the service without problems. And I think you need to add more languages. You can have server instances on demand, easy to set rules and guidelines among teams members, great features to test code, it works with lastest technologies and frameworks, it can reduce deadlines, easy to deploy projects and integrate new technologies. It can be difficult when starting to use it, you have to learn some guides and tutorials before working with it, it can run slowly sometimes with large projects. It works well with large projects, it's multiplatform and it doesn't depend on any OS dependency. Web apps and analytics software, it's well suited and completed cloud base IDE, it can boost productivity in large teams and have a better organized project structure. "Cloud base editor with great support"
A complete web based IDE, constantly support, new features added all the time, it's well suited for front-end projects, easy teamwork and GitHub integration, you don't need to install any platform runtime, you can debug and instantiate your project at the same time. It can be slowly sometimes with large projects, UI is not very fiendly, poorly multi language support, few tutorials. It's great suited mostly for large teams, you can establish conventions across the teams easily and keep track of their work. "Codeenv is not good enough for node.js development." The UI of Codenvy is great. There are so many feature in the menu. The quote for a free user is big enough for common usage. The integration with 3rd party tool (GitHub, Android and so on) are awesome. The menu is complicated and hard to figure out the right place for my function. It is not friendly to node.js development. If you are developing tool with Java, or creating an Android app, choose Codenvy, it is awesome. However, for other development, you could take a try. I am using Codenvy to develop a node.js tool on the cloud. I can access my code, edit and run it on any machine from anywhere. It is so convenient to code in the cloud. "First online IDE I use, loving it !" The IDE is very comfortable and intuitive. I never used online IDEs before, nor VMs, so runenrs and VMs were pretty new to me, and I understood it perfectly. For web apps, a link is provided when running the app and that's that, you can access your project that easily. The project creation is fine, but could be improved a lot visually, or mostly the whole website except the IDE. Does it really matter ? I'm not sure it does as you're gonna spend most of your time in the IDE, but it's true that having a pretty website and pretty docs is nice to have :). As a junior, I need to share my code around to get feedbacks and let other be able to access my code, while it is not interesting to me to get all this on a public repo (github). "Could be the Desktop IDE Replacement You've Hoped For?" I have been exploring several cloud-based IDE platforms for the last year. The IDE is the last tie-back to a local machine for me. Once I break that tie, I am free to develop anywhere, any time, on any device. I have had a broad range of experiences with the leading cloud based IDE's. I have to say, after a few days of exploration and testing existing projects, imported from GitHub, I am very impressed. Codenvy seems to meet the majority of needs I have as a develop to partially or fully replace my local IDE for the types of projects I work on. A few commenter remarked about the steep learning curve. I would concur, opening Codenvy for the first time, and getting your barrings is a bit intimidation. The sample project and interactive demo were helpful, but didn't help me feel more at home, initially. However, this could probably be said of many modern, full-featured IDEs (WebStrorm, NetBeans, VisualStudio, etc.). I think after a few projects, it would seem at natural as booting up Eclipse. 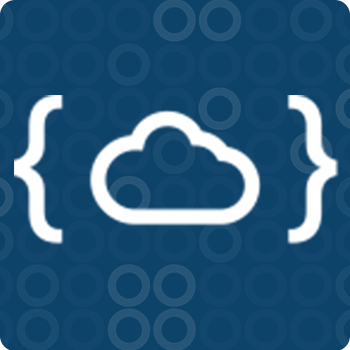 Test other leading cloud based IDE's in order to fairly evaluate Codenvy. Cloud9 is a solid competitor in some aspects to check out (c9.io). The challenge is picking one of the crowd that will survive this early stage product development and be around to support developers for awhile. Seems like Codenvy is off to a good start. Ability to remove the dependency on a fixed development workstation (device) with a local IDE, for software development and testing. "Top notch IDE for web dev." The development environment is GREAT for web apps and even full fledged websites. The easy to use dashboard is fantastic and updated dashboard makes it so easy a caveman could do it. The IDE itself feels like working in Eclipse or Netbeans so it has a familiar feel but it's not the same. The learning curve is steep. I have not yet managed to get "Hello World" to run in any language (including Python). Ease of use gets a D+ at best. It's easy to create a project, edit the project, and save the project, but running the project feels like I need formal training. This is a turn off for me. Hello World in Python especially should be a 1,2,3 task. Keep your options open and know exactly what you need and when/how you need it. I found codenvy while looking for a cloud IDE that would allow me to complete Java SE projects while in ChromeOS. I don't think codenvy will be the way to go. Codenvy provides an IDE environment on ChromeOS which allows me to carry projects across devices. Complete cloud base programming environment, it supports top web frameworks, it's well suited for large projects with many coders, seamlessly GitHub integration, code editing and testing. UI is kind of complicated, it runs slowly, a few tutorials about it, it supports a few popular languages. A great editor alternative, you can have many different projects with all necessary tools, if you have a large project with many coders you should try it. Web applications projects, JS/HTML/CSS editing, project management, code testing, you can use it in all different operating systems or low-end computers, you have a complete programming environment without installing any dependencies or frameworks. "First time user of codenvy"
This program is versatile and works among many different platforms c++, Fortran, Python, etc. It also was a great addition to my chrome book, considering that the types of applications compatible with the chrome is very limited. I had problems executing simple c++ programs that I developed in my intro to programming class. I'm not sure why , considering that the programs would run fine on visual studio but not on codenvy. This is frustrating since I am not able to practice writing the c++ assignments on my laptop. This means that I will have to either work in the computer lab at or at my home computer vs. being able to write c++ programs on the go. I hope this gets resolved soon since I would like to be able to practice writing c++ programs on my chrome book laptop. I used codenvy to write programs for my intro to programming class. It's free, robust and brings a bunch of services to the table so you can work with them while away from your desk. I've just met the new version of the IDE and I'm loving it. I can code on a Chromebook without hassle and without worrying about lacking of memory or headaches installing and setting up software in it. Nothing at the moment, it's been an awesome experience in the past, it's way better now with this new UI and IDE structure. Coding on-the-go. This is the reason i started using this tool, haven't looked back in the past months. "Great cloud based IDE for next-gen programmers"
It works seamlessly and it very easy to understand. No issues in setting up a project and start coding, good for getting job done. Stable and does not crash or data loss. Not many GUI customization options, default black-grey theme and language code color is default and cannot be changed. FTP/SFTP is always required to update the files directly, however local storage option would be welcome. Sometimes it takes long to download projects while setting up. Many many pros than cons. Must try cloud based IDE for coder on the move. Good for getting the job done easily. "New way to make code projects"
It has many API integrations, it supports all new tech stack, it's well suited for code testing, you can configure a project to enforce code quality and guidelines, perfect for large team projects, platform independent. It runs slowly sometimes, can be daunting for new comers, it has a few themes and syntax colors, it can be quite complicated to do some tasks. If you are working with large projects with many team members this can be a huge improvement, it's well suited for code automation, cloud base and Git integration can save a lot of headaches. "Best cloud base editor alternative"
Can be slowly sometimes, you have to pay for the best features, it can be daunting for new users. It's quite expensive. It's kinda hard to set everything at first. If your next project is conformed by a large team you can easily manage it with this. It's great for maintain code conventions and guidelines. "Coolest Cloud IDE I ever used!" - I personally like to having my workspace in the cloud and accesible anywhere. - GitHub integration is pretty cool. Ability to use git commands in the workspace +1. - Pretty close to the user experience I have in my local IDE. - I prefer the dark UI to code. But some may prefer light UI. - Lack of keyboard shortcuts. - Better if we can have some more code generation options. I'm currently work as an engineer on WSO2 App Cloud. We integrated codenvy with our cloud platform and I must say codenvy added a huge value to our cloud platform. Apart from that I personally use codenvy to play with my repos currently in GitHub with the use of its GitHub integration feature. Its pretty simple easy and cool! "Cloud based IDE to use on my ChromeBook." Codenvy packages all of the components of a compiler, and IDE into one, online product. They do so in a well organized, polished product. Although this is all impressive, the real key point to understand is that they do it for FREE. The ability to type code on one computer and seamlessly access it on any other computer by signing into your account is also a great benefit of choosing to use Codenvy. The program itself is not the most user-friendly, for someone who is just learning how to code, it can be a bit of a challenge to understand all of the options and components of a program. Loading times on projects can also be quite long (depending on what is in your project), but as an online IDE, this is probably to be expected. One other thing I have noticed is that while attempting to allow user inputted data, this IDE does not allow for user input in the console (or I just haven't found out how to do it yet, so this may be an incorrect dislike). This program has allowed me to write C++ code on my ChromeBook, something that I was very concerned about not being able to do. It is nice to be able to write code on my main, home computer, and then take my ChromeBook out with me and be able to work on that same code while I am elsewhere. "Truly able to code from anywhere!" I would say it is one of the easiest cloud IDEs to setup. It gives on demand real-time collaborative IDEs and it's quicker than Cloud9 in this department. It also has a fully functional free tier unlike most other similar cloud IDEs which is very important for someone like me who doesn't need heavy power while being in a learning stage. Also, it provides a terminal with root access which makes life very easy. So all in all, I would put it at the top of cloud IDEs list. Lacks drag and drop support and could also provide SSH, FTP kind of access which is crucial for many projects. I am using it with my project on Heroku and it has helped me be more productive and also not worry much about the stack on local machine. "Great way to keep the coding going. " I was struggling to set up maven repositories in my localhost. It was not clear to me when thee are so many options. Do I go to maven? Gradle? Groovy, xml... But with a click of a mouse I was able to setup a spring rest mvc project in no time. "It brings my chromebook back to life!" I can easily deploy anything web-related within the software, use live previews and some awesome syntax highlighting. I might've had a problem or two connecting to Bitbucket, yet anything else besides this. It might look overwhelming at first sight, but give it a try. You won't look back to any web-based IDE. Using a chromebook for development is a hell with the low amount of development software available in the chrome webstore. But Codenvy have saved my life in so many ways when using it that i can't just use anything beside it. "Was really a Good Experience With Codenvy!!!!!" give it a try if you want your ideas into code. I have not been solving any critical business problems....Have my ideas of making an app and This one is just the one i needed to bring my ideas into practice !!! Codenvy is easy to set up and has loads of functionality. I really like the "commonly used stacks"
There is a lack of code-completion, however, on a scale from 1-10 of importance - this is a 2. Being able to work on a project on multiple different computers when traveling without having to download and setup an entire tech stack. I'm still waiting for nodejs in codenvy, i mostly develope un nodejs for web project and i would be glad to use codenvy for it. I have a few different computers that I use. Instead of setting up the environment across different systems, Codenvy gives me a platform I can access anywhere I have access to a browser with the same set up. Since its a cloud based IDE it's a bit slow but then again it's working amazingly to solve the problem it's trying to solve. I am working on a personal project. "Enjoyable to use an online coding IDE that actually works. " Able to update server side code that readily updates without having to use and application like Filezilla to upload to the server. Also there are several launchers to test out an application. It was a bit difficult to understand how exactly to work with the IDE at first but became easier as I began to understand the layout. Currently I am using this for school to test out applications for assignments. As I said before this is a lot easier than using another application to upload my code to a server. "User friendly interface for a novice developer." This online developing portal provides a User friendly interface for a novice developer. My initial experience was wonderful with this free facility. There are definitely few things and glitches which a novice like me needs to over come in initial phase. I believe that this is because of lack of expertise and experience on my side. May give it a trial with confidence. Was trying to fix Function code for my business website. "just awesome in using and user friendly"
its very easy to use and user friendly.any one can use this. many coding languages is there one can use any of them one need not to study any specific language its the plus point. and the code compiler is also fantastic. we do not need to write whole code for the program some statements is provided by the codenvy. the file name entering at the starting level. i am student so i just trying to learn new things. "Great development environment with a basic ide"
Automation through factories for new projects. Java support. PaaS Deployment. Fully functional SQL editor. Datasource with support for Google Cloud and AWS. Basic IDE with a poor uix (solvable with codenvy cli). More friendly environment for sysadmins that programmers. Deploy an clone for small and large projects. "Profesional IDE. I like it!" I purchased a chromebook a few days ago and I was looking for an online IDE . I tried many websites and I ended up using envy .The good thing about it is professional environment like eclipse. I have been programming for 17 years now. "Codenvy - great option for kids learning to code on Chromebooks"
I am looking into using Codenvy to help kids learn to code in Middle and High school. So far, it is looking like a great option for us! So far the only negative is no obvious way to use BASIC, which is the language our teachers and students have been using for years. We want kids to learn to code. So far, it is looking like a great option for us. "The best online developer environment"
I like "Source-code manager integration" of Codenvy, support for integrating Software Configuration Management (SCM) tools with the system so that you can browse the source repositories within Codenvy. I do not dislike anything about codenvy. It is almost perfect to my needs. till now i have recommended numerous of my colleagues and friends to switch to codenvy. I am solving SCM needs, In addition I am linking commits/check-ins in the SCM tool to artifacts in Codenvy to provide code-level traceability of changes. "I like Codenvy because its my portable virtual toolbox"
it works best on my Core i7 laptop rather than my HP 250 g2 laptop. * We monitor all Codenvy reviews to prevent fraudulent reviews and keep review quality high. We do not post reviews by company employees or direct competitors. Validated reviews require the user to submit a screenshot of the product containing their user ID, in order to verify a user is an actual user of the product. Hi there! Are you looking to implement a solution like Codenvy?